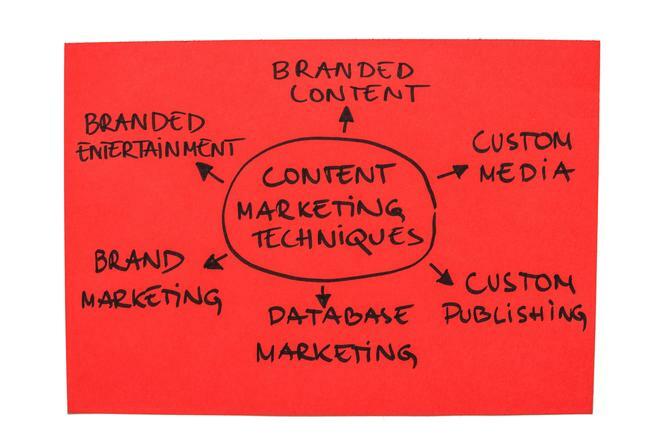 It’s not hard to predict content marketing will be where it’s at for most Australian marketers in 2014. But how to ensure your storytelling strategy is effective remains a critical issue given the rising numbers of brands joining in. CMO speaks to a range of senior marketers, industry experts and content marketing leaders to find out where their content marketing dollars will be spent in 2014, and what they see as the top trends influencing content strategy in the next 12 months. Carolyn Hyams is the marketing manager at Australian recruitment company Aquent, which incorporates the Firebrand Talent and Vitamin T brands. The business is allocating 40 per cent of its total marketing budget to content marketing in 2014, a larger portion than ever before. “Since Firebrand’s launch in October 2010, our goal has always been to become thought leaders in the digital, marketing and creative industry. Without content marketing, this would simply not have been possible,”Hyams said. In the past, Firebrand has pushed thought leadership content through its blog, Firebrand Ideas Ignition. In 2014, efforts will shift onto unifying and integrating its content approach across the blog, website and social platforms, Hyams said. Key content channels are email marketing using marketing automation; blogging; search (PPC and SEO); social media; video; website; events; and PR. “We are well regarded as a ‘connected’ brand and we use social media and our online platforms to deepen the relationship we have with our customers and the broader digital, marketing and creative community,” Hyams continued. “Some call this ‘engagement marketing’ or even ‘intimate scale’. In 2014, this will be more important than ever. While Firebrand’s content marketing has been praised by industry in recent years, ROI and direct revenue contribution has been a challenge, Hyams said. To overcome this, the team will invest in refining processes and new technology that tracks lead generation through to revenue generation. When it comes to new content avenues to explore, Hyams saw video, both in terms of short messaging through Vine and Instagram and longer YouTube clips, as well as images on Facebook and Instagram, as opportunities in 2014. Firebrand’s parent company, Aquent, has also developed a Massive Open Online Courses (MOOC) platform, Aquent Gymnasium, which Hyams claimed “is content marketing at its best”. The site allows professionals in the digital, marketing and creative sectors around the world to enrol in free online courses. As at December 2013, the MOOC had chalked up 20,000 registrations. “Should individuals complete the course and achieve a certain score in the assessment, they are asked whether they would like to be represented by us. It’s a fantastic content marketing tool to attract great talent,” Hyams added. Content marketing remains critical for attracting and retaining audiences at Australian broadcasting group, SBS, and spend will again increase in 2014. Its group marketing manager, Katherine Raskob, told CMO content was particularly important in retaining younger audiences who don’t consume as much TV as traditional, older viewers. “We view it [content marketing] as part of our marketing mix, not a separate activity, so in many ways, it’s already deeply entrenched in our marketing,” she said. During 2013, Raskob said SBS began using content marketing in a new and innovative way around the May launch of The Feed, a 15-minute program which combines news, topical commentary, pop culture and in-depth features on the latest local and international headlines. The success of The Feed and its content marketing approach will see the program expand to a 30-minute format in 2014. SBS also plans to add traditional paid media around key content it believes will continue to entice and excite audiences, Raskob said. Vital to this effort is using data to better target audiences with the content they want and that is relevant for them. Social media will continue to be an important channel for content marketing opportunities, she added. “SBS is in the enviable position of being a content-led media organisation but that doesn’t mean we can just serve up content to audiences and hope it will stick,” Raskob said. “The lesson we’ve learnt this year is that content is only as good as its relevance to the consumer, so that’s where we need to be better at understanding our audience through data and using that in a smart, strategic way. Another trend SBS plans to embrace more fully in 2014 is the use of ‘slashies’, or staff who own and perform a variety of responsibilities in their roles such as content producer/promo producer/social media manager, Raskob added. Certified Practising Accountants (CPA) Australia executive general manager of communication, content and publishing Lisa Carroll, toldCMO content marketing is a big part of what CPA does and investment will again rise in the new year. One of the association’s longstanding projects is a custom publication for members. The emphasis over the next 12-18 months, however, will further shift onto content aimed at engaging a wider audience, not just the existing base, Carroll said. One example is the work being done to engage students and young professionals through its The Naked CEO show. Social media is also perceived as a key content channel for bringing in that broader audience. Now it’s about being more strategic by planning out different audiences and views upfront. We want to create content in ways that work for different audiences. In addition, the CPA launched The Bottom Line TV program through Channel 9 this year and will continue to invest in the show in 2014. Another significant shift for the CPA is away from focusing on owned channels, to better leveraging content in more than one place. “Previously, we’d have a piece of content created and then think about what else we could do to push that out,” Carroll explained. “Now it’s about being more strategic by planning out different audiences and views upfront. We want to create content in ways that work for different audiences. How CPA measures the success of its content activities is also getting a more strategic and long-term bent. Carroll said historic measures such as ratings and click throughs are being superseded by long-term customer engagement metrics. “Data is more and more important to justify the ROI,” she added. “There is more pressure now on how your follow the customer, how often they are coming in and interacting with content, and how they become an ongoing part of your audience. Then it’s about conversion. MYOB general manager of marketing, Caroline Ruddick, rated content marketing as a priority for investment in 2014 but pointed out content generation been a focus for the software vendor for many years. MYOB’s audience ranges from sole traders and micro businesses through to enterprise-level businesses. “They have different content needs and preferences, and we make sure we understand what those preferences are,” Ruddick said. “Those in larger businesses find our whitepapers incredibly useful, which contrasts to the needs of smaller businesses who want short, digestible information. When it comes to trends to watch next year, Ruddick expected brand journalism to take firmer hold across the industry, and said MYOB continues to focus on this as an area of opportunity. “As a business we have been engaged in brand journalism to one degree or another for a while, both in our own channels and in other online publication channels,” she said. Managing director of marketing management consultancy TrinityP3, Darren Woolley, is an active advocate of thought leadership through content. The company’s content marketing strategy has delivered a 300 per cent increase in site visits and more than 30 per cent growth in revenue year-on-year. Woolley said marketers may have struggled with developing and measuring the effectiveness of their content marketing in 2013, but 2014 is the year of ‘more’. Marketers need to invest in building content assets, rather than content campaigns and stunts. Those who get the strategy right will be rewarded with MORE high quality links to their site, Woolley said. MORE social sharing and more social activity as quality content assets are infinitely MORE sharable. MORE email subscribers, as the MORE content you publish, the MORE people get to discover your brand, which will increase your chances of getting MORE of them to subscribe to your email newsletter. MORE search rankings as relevance [which can be measured through usage/page activity] and authority [measured through social, links, domain authority], still plays MORE of a role in terms of search rankings. MORE conversions because MORE content assets can demonstrate your brand’s domain expertise and authority.